More than 1,500 farmers from across the state gathered in Franklin December 1-4 for the purpose of developing policy for 2019, electing leadership for the organization, presenting awards to outstanding county Farm Bureaus, learning about the latest trends and issues in agriculture and networking with other farmers across the state. Session speakers included former CEO of Tyson Foods Donnie Smith, who shared his passion for feeding the world and challenged attendees to not only share agriculture’s story, but to win the war of words by advocating to everyone from your neighbor, to the person next to you at the grocery store to your legislators and beyond. Other session topics covered the economic outlook for agriculture, with American Farm Bureau’s Chief Economist Dr. John Newton sharing his expertise with convention goers and interpreting the mid-term elections with Dr. John Geer, dean of the College of Arts and Science at Vanderbilt. A highlight of the convention came during the annual banquet when Tennessee Governor-elect Bill Lee not only ate dinner with the group, but also shared some of his vision for the future of Tennessee. “We need to partner with our great university system, vocational and technical schools. We need to support innovation and technology to take agriculture in our state from good to great,” he said. Governor-elect Lee also continued the tradition set by current Governor Bill Haslam by naming the new Tennessee Commissioner of Agriculture at the banquet. “To continue with a tradition, I want to name the commissioner of agriculture tonight…Dr. 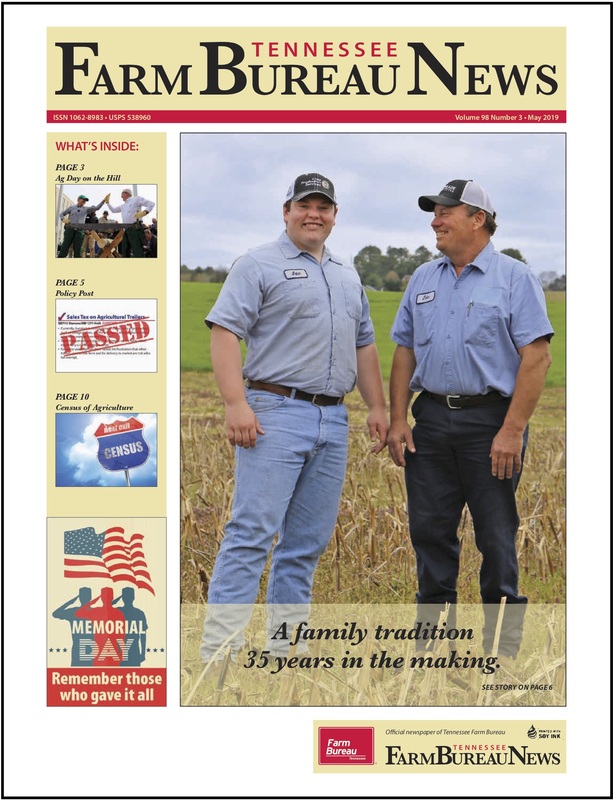 Charlie Hatcher is a 5th generation dairy farmer and is currently the state’s veterinarian,” said Lee. Two long-time Tennessee Farm Bureau board members retired during the convention – District V Board of Director David Mitchell of Grainger County and Women’s Leadership Committee Chair Jane May of Dyer County. They were honored with proclamations during the banquet for their years of dedication and service to the organization. 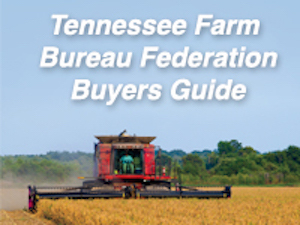 During the Tennessee Farm Bureau Federation’s business session, delegates debated policy proposals and passed resolutions to work on legislation in 2019 at the state and federal levels; and also re-elected Humphreys County farmer Eric Mayberry as vice president of the nation’s largest state Farm Bureau organization. Addressing the attendees during the business session was Tennessee Governor Bill Haslam, who thanked the group for their partnership during his tenure as governor. “I have a large amount of respect for not just what you do, but how you do it,” he said. Others re-elected to the board of directors by the voting delegates were: President Jeff Aiken, Charles Hancock from Bumpus Mills, Catherine Via from Alamo, David Richesin from Philadelphia, John Chester from Martin, Josh Ogle from Flintville, James Haskew from South Pittsburg and Mike Scudder from Carthage. 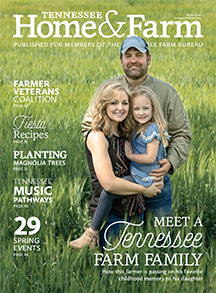 Also during the annual meeting, Matt Niswander was selected as the new state Young Farmer and Rancher chair and will serve as an advisory director on the Tennessee Farm Bureau Board of Directors.